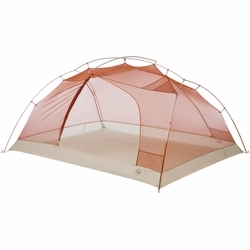 Big Agnes Copper Spur 3 Platinum Tent. Incredibly light, full featured, free-standing tents with two doors, the Copper Spur Platinum series is the gram counter’s epitome of having cake and eating it too. With features previously only found in heavier counterparts, the Copper Spur Platinum’s comforts include a nylon rip-stop fly with two vestibules, interior storage pockets, and a sleek, colored mesh body that provides privacy while allowing for night-time star gazing. Copper Spur 2 Platinum from Big Agnes on Vimeo.